Being active on social media isn’t enough. Young people need to get involved, connect with others, and make a difference. 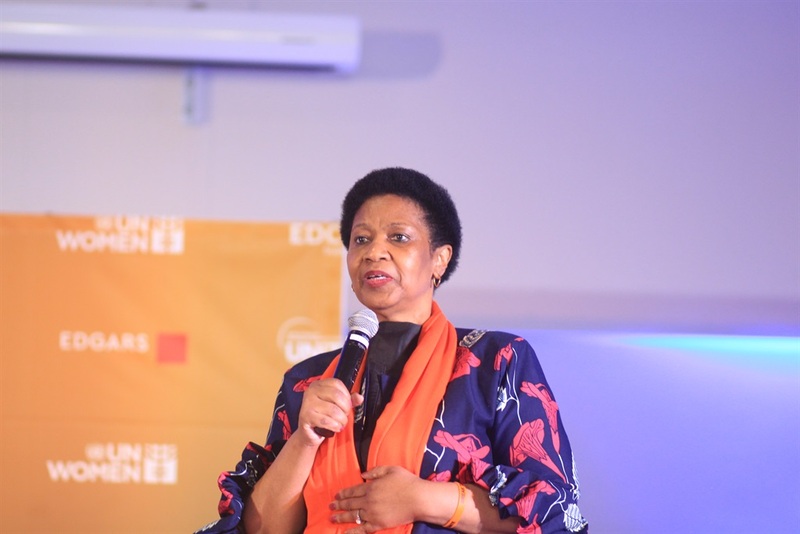 This was the word from UN Women executive director Phumzile Mlambo-Ngcuka, who called on the youth to become active. “If you are a young person and not involved in anything, it is a tragedy. If your life is just about your job or home life, it is not enough. I urge people to get involved in an initiative, something to challenge change. In the era of social media we can use it as a tool, but it is not enough because we need to be able to connect with people personally,” she said. Mlambo-Ngcuka was speaking to City Press moments before newly appointed UN Women Global Ambassador Danai Gurira led her very first dialogue with young women at the African Leadership Academy in Johannesburg on Monday. Gurira, who is most popularly known for her role as General Okoye in Marvel’s blockbuster hit Black Panther, was officially named the new ambassador at Sunday’s Global Citizen Festival, which saw the world setting their sights on local and global stars and activists who convened into one platform to raise awareness at alleviating global poverty and gender inequality, something that Gurira is particularly passionate about. “I live for each of what you do,” she said on Monday at the “conversations with young women” programme, which discussed gender equality in a changing context. She described to the audience how her years of activism led her to becoming involved in writing her own stories about powerful women. “I want young girls to remember the women who came before them so they know the courage of women; the courage inside themselves,” she said. But before Gurira took to the stage to share her own inspirations, young women who have endured their own hardships and have become change makers within their own communities took to the stage to share their stories, including human-trafficking survivor and author Grizelda Grootboom, nuclear scientist Nomsa Kana, Zimbabwean-born cultural activist Tanatsei Francisca Gambura and #FeesMustFall activist Naledi Chirwa. “We know that there are ‘sheroes’ out there doing spectacular work but we don’t know their names or their story,” she said, as she explained how she hoped to be able to write more plays based on the stories that already exist. She also spoke about how social media often distracts people from physically connecting to one another, despite its use in mobilising movements or campaigns. “When women get to see each other more, powerful things happen. That is something that I intend to facilitate, through the power of the arts,” she said. The Black Panther actress also spoke about the talents of African women that need to be amplified and given the platform to shine. “We as women have the answers to our problems in our own spaces; where we have been broken we have not been destroyed. We have created ways to move forward that will help heal the rest of the world,” she said. 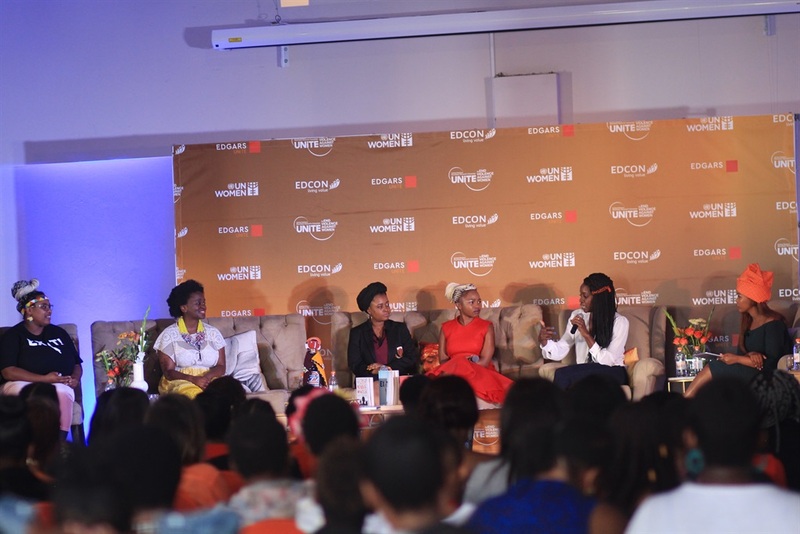 Mlambo-Ngcuka said that having Gurira on board was something that they hoped would help the youth identify something familiar in themselves and that Gurira would inspire in them some sort of action to fuel change within their own communities. “We are hoping that by having a young, committed person on the issue of gender equality we can have a conversation with young men and women about the role that they can play in advancing gender equality. We would like those who would like to give up, to be able to look to Danai to inspire them. We are hoping through her ability to engage, she will show young people how they can take destiny into their world. It’s important to bring in other people to bring in their own perspectives and experiences,” she said. Mlambo-Ngcuka emphasised the need for more conversations to take place around the development of women because of the dominance in which men occupy spaces and opportunities. 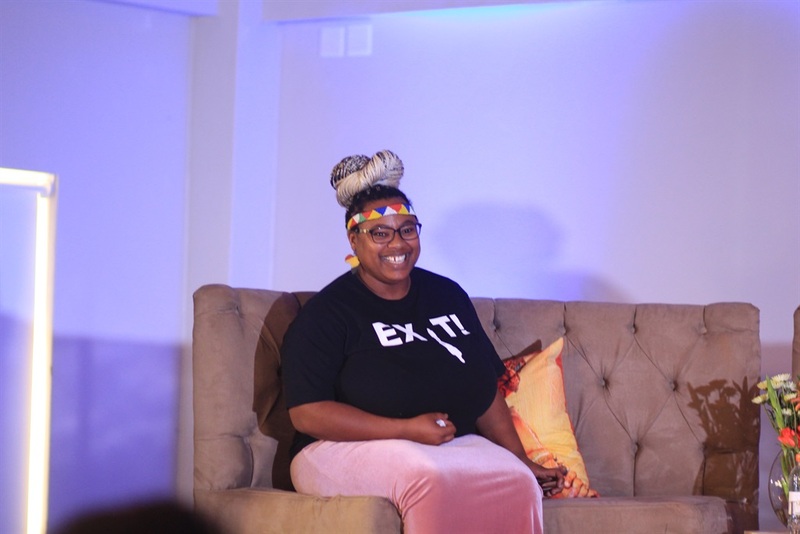 Grootboom, the author of best-selling book Exit!, shared her painful story about how she was trafficked at the age of 18 and sold to brothels across the country. After being lured to Johannesburg under the pretext of a job by her friend, Grootboom found herself overpowered by three men who injected her with crystal meth, and she was forced to perform sexual acts on the men for two weeks. “I was exchanged with a little girl in the middle of the night and she was kidnapped – trafficked,” she said. “My country is undermining slavery. And I don’t know if they are undermining it because black people are slaves but history has taught us that black slavery was and still exists. Today I do still suffer from body trauma and my HIV status,” she said emotionally. Gurira said that she had her work cut out for her, but she was prepared for the fight. “What you ladies gave me was hope, you gave me the conviction about my role. My heart feels this, that the calling is clear. Sitting among you ladies and what you have done ... for the legacy that you are building ... cuts my work out for me. 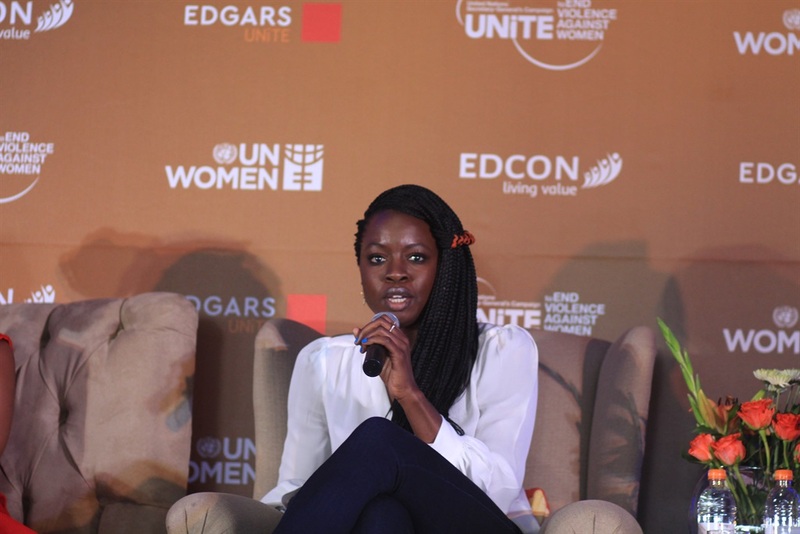 There are so many things that women endure in this world that simply makes no sense and so we are on the fight to change things,” Gurira said.